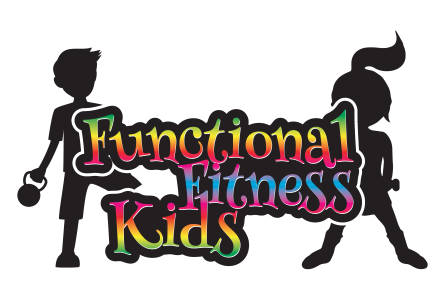 Functional Fitness Kids Limited is a company registered in Scotland under company registration number SC532695 and having its registered office address at 48 Brown Street, Dundee, DD1 5DT. Refund will only be given where the client has been charged inadvertently for a service they had cancelled or not asked for. Yearly or 6 month memberships do not warrant refunds at any point after sale. The discounted rate is given on this basis. IF YOUR MEMBERSHIP IS NOT CANCELLED BEFORE THE 1st OF THE MONTH, YOU WILL NOT BE REFUNDED PAYMENT FOR THAT MONTH. This Privacy Notice takes effect from 25 May 2018. It is directed to all natural persons whose Personal Data we process other than our employees, workers and volunteers. It applies to Personal Data collected by whatever means including without limit through our websites. Your privacy is important to us, and maintaining your trust and confidence is one of our highest priorities. We respect your right to keep your personal information confidential and understand your desire to avoid unwanted solicitations. Providing personal information is an act of trust and it is taken seriously. Unless given consent to do otherwise, Functional Fitness Kids will only collect and use personal information as set out below. We are disclosing this policy to you so that you will have a better understanding of what we do with the information you provide us and how we keep it private and secure. Except as otherwise described in this notice, we restrict access to nonpublic personal information about you to employees of our gym who must use that information to provide services to you. We only process Personal Data where we have a lawful basis for doing so. Thank you for allowing us to serve all your fitness needs. We value your business and are committed to protecting you privacy. Please email us on funcfitkids@gmail.com if you have any questions or if we can be of further service. We collect certain personal and billing information about you, only when that information is provided by you or is obtained by us with your authorisation. We use that information solely for the purposes of setting up your account in our business management software (TeamUp) which collects scheduled payments. This information is mandatory to setup an account with our facility and will be used only to create your FFK membership. As a general rule, we do not disclose personal information about our clients or former clients to anyone for any reason without your consent or authorisation. We do not purchase databases of Personal Data from third parties. Functional Fitness Kids may employ other companies or individuals to assist us in providing our services, or to provide certain services such as providing marketing assistance or consulting services. These third parties may have access to information needed to perform their function but cannot use that information for other purposes. We are not responsible for processing by Google. We use third party business management software (TeamUp) to bill you for services and an email service provider to send out emails on our behalf. You will always be asked to sign-up for any of our third party software and we do not give your information to them for any reason. If your collected information changes, or if you no longer desire our service, you may correct, update, and delete/deactivate it by logging in into your TeamUp account and doing it there or by emailing our customer support at funcfitkids@gmail.com. We will do our best to respond to your request promptly.